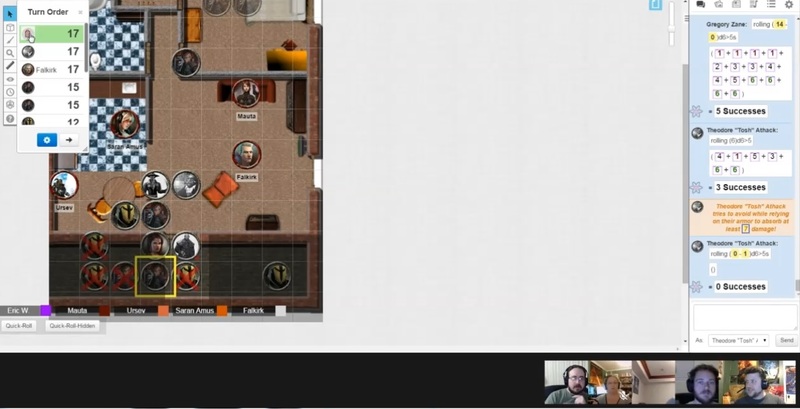 The runners try to sell the valuable commlinks and end up in the middle of a firefight. 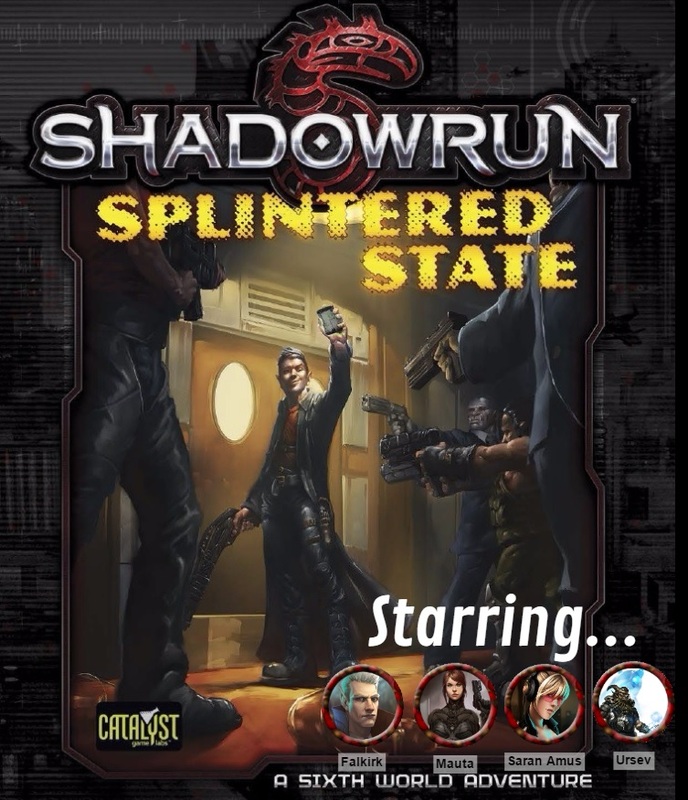 Things wrapped up rather swiftly in our final session of “Splintered State.” The end of the published adventure is quite open-ended and very reactionary depending on whom the players decide to sell the commlinks to. I opted to eliminate the optional final run and instead use the meet as a staging ground for our climactic finale. The commlink the players find early in the mission is mainly an excuse to suddenly make the runners big targets for many large organizations. They’re hunted and attacked through several scenes before everyone decides to play ball and offer them money. There’s a bit of story going on but none of it really matters to the immediate plot. It was a bit unfortunate to be introducing this whole other plot involving FBI Agent Dietrich and Governor Brackhaven on top of our finale. 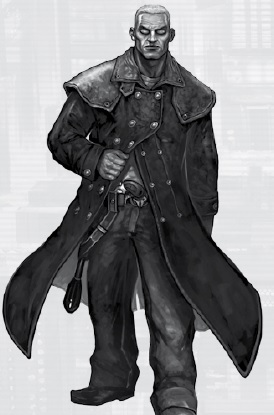 To make it work I retconned Gregory Zane, one of the parties interested in the commlink and a shadowrunner working for Brackhaven, the main villain of our campaign. The players had an opportunity to actually sell the commlink to Zane, as well as Ares or Mitsuhama for a sweet chunk of change. They chose to take the nobler path and sell to Eliza Bloom and Project Freedom, who vowed to take down Governor Brackhaven’s racist and terrorist activities. In hindsight I should’ve made Jeremiah Redd (their friendly fixer they rescued in “Not with a Whimper“) a member of Project Freedom. It would’ve fit perfectly since he was an ork and one of my players questioned him about it. I backpedaled not knowing if that would create some weird plot holes at the time, but it would’ve fit rather nicely and at least tied a few things together. Instead my players were still left wondering why Zane went to all this trouble to hound them throughout the campaign, and attack them at the end. The players were in the midst of selling the commlink to some Knight Errant forces (whom they had actually battled previously in the adventure) when Zane showed up with a bunch of his own team to kill everyone and take the commlinks. The final battle was filled with a dozen NPCs, but I quickly killed off many of them off screen to create a sense of chaos and deadly force. Zane’s team murdered most of the Knight Errant forces, then Mauta triggered some C4 she’d strategically laid around the windows and exits of their safehouse, killing some of Zane’s runners. The players had Detective Tosh Athack on their side, but hilariously my first roll with him caused an errant grenade to go off right in his face, knocking adept Falkirk unconscious. The runners were actually pretty well fortified in the safehouse, and handled the battle fairly easily. Mauta’s sniper rifle is a one-woman wrecking crew, and nearly one-hit killed both Zane and his partner mage (the woman on the boat that mind controlled everyone at the end of “Road Rage“). Tosh took some heavy hits but revived Falkirk enough to get him up and stabbin’. Soon Zane had to retreat pitifully along with the mage and a single runner providing covering fire. The players had successfully fought them off, and completed the transaction. Altogether they received 180,00 nuyen for their trouble, a huge increase compared to previous adventures, as well as a bunch of Karma points and some new contacts like Tosh. While the villain and overarching plot came up a bit flat, I think overall “Splintered State” did a fine job highlighting my players’ strengths of tactics, combat, and socializing with fun NPCs. Look for our full “Splintered State” recap episode next week!